The company is now significantly upgrading the tool. As of today, you can finally use all those specific queries right on your phone. Just as notable, Facebook is also now allowing you to look up any specific post. The company says this was the most requested feature for Graph Search, so now you can easily pull up an old video you just remembered or that article you’d been meaning to read for a long time. To look up a post, simply type in some keywords that appear in it; Facebook uses”Caroline wedding” and “Ice bucket challenge” as examples. It’s essentially the same as a Google query, except in this case you’re searching through a database of posts made by you and and your friends. Graph Search has certainly long been useful for power-users, but the introduction of these two new abilities should make it much more relevant for the average Facebooker. 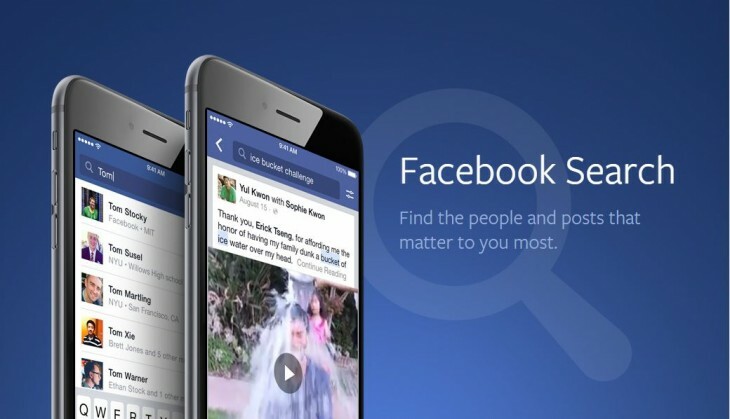 The changes are rolling out this week for the iPhone and desktop versions of Facebook. The company isn’t offering a specific time for when they will be available on the Android or web versions of the social network, but says it intends to look for user feedback on the iPhone and desktop iterations before bringing the upgraded Graph Search to other platforms.